On one of my numerous excursions across the North Devon countryside I was eager to source out a bluebell wood. Parking at the National Trust Car Park at Brownsham I wandered down the pathway, towards Beckland woods. My wish had been granted ,as I was met with a patchwork of vibrant blues ,carpeting the lush, green valley. The sound of the trickling stream, creating an atmosphere of calm, peace and tranquillity. Following the meandering path I walked out of the wood and up to the vantage point of Windbury Hill which was once an Iron Age Fortress. Surveying the seascape and taking in the exhilarating views I suddenly saw Blackchurch Rock, perched, proudly on the beach below. This natural formation fascinated me and my instinct told me that I had to investigate this further. However, it would have to be another day and another place for me to seek. Inquisitive and eager I couldn’t wait to see Blackchurch rock, in its true form close up. So the next day, back to the car park I went armed with my trusty camera and off I went. Venturing this time down past Brownsham Farmhouse and through Brownsham Woods I ambled slowly, taking in the surroundings and its precious offerings of wildlife, flora and fauna. This wonderful 2 mile walk at last led me to Mill Mouth,an isolated cove ,with a trickling stream, meandering, soothingly through the rocks and making its way to the sea. 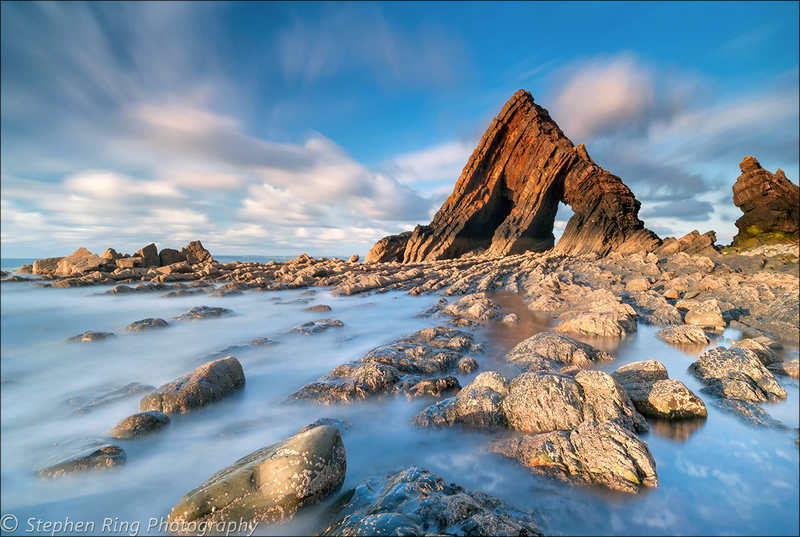 The home of Blackchurch Rock, a truly, awe inspiring, imposing and natural formation. A natural arch, with two windows carved out ,by the ravages of nature. ,This fascinating inlet holds many memories and tales, and was a centre for smugglers in bygone ages. You can see why such remoteness was ideal for smugglers ,to haul their contraband ashore, without fear of discovery. The walk to this glorious inlet was inspirational, as I encountered the most wonderful, natural, geological formation. A spectacular creation for me to photograph and believe me I have. 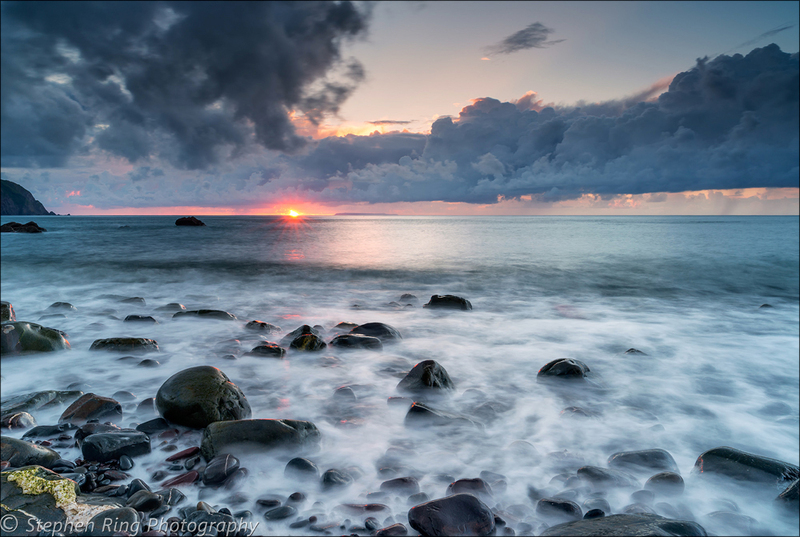 If you are yearning for some fresh air and somewhere different to walk why not venture down to this remote cove, through woodlands ,seeping with wildlife and experience a beach with a sense of mysticism and awe because its something not to be missed.